We’ve just finished 5 months of travel, and in many ways it was every bit as life changing as our 6 months of sailing prior to that. The things they say about travel are true: that you’ll never regret it, that the world is a very big place and if you only see one part of it you’re missing out on a lot. It’s also true that it’s not as hard to travel as most people think. Most of South and Central America are not dangerous places (as many Americans seem to think). We heard more scary stories when reading our hometown news than the local news. And you can travel on the cheap in many areas of the world, having a far lower cost of living (COL) than high COL U.S. cities. But it’s been 147 days since we’ve slept in our own bed, and towards the end we started to miss our sailing home. Travel is hard and eventually you crave having a consistent place to sleep each night, and more than what you can fit in a carry-on suitcase + daypack. And there’s nothing we’ve found that quite compares to the beauty and tranquility of sailing the Pacific Northwest. This entry was posted in cruising plans on February 24, 2019 by Patrick. 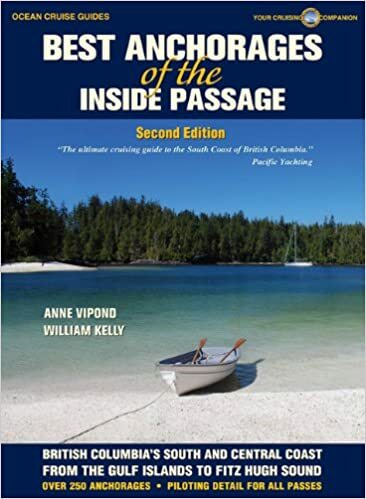 Recently some other Pacific Northwest cruisers have reached out to me asking which cruising guides we used for our passage north last year. It can be tricky choosing cruising guides because the older ones tend to get out of date quickly, and some have spotty coverage or a different cruising style than ours. Over the last 4 years of cruising we’ve found some good ones that work for us. Finding good educational books on sailing and boat maintenance is also tricky (there are so many!) so I’ve included a few recommendations on those too. This entry was posted in howto on February 18, 2019 by Patrick.